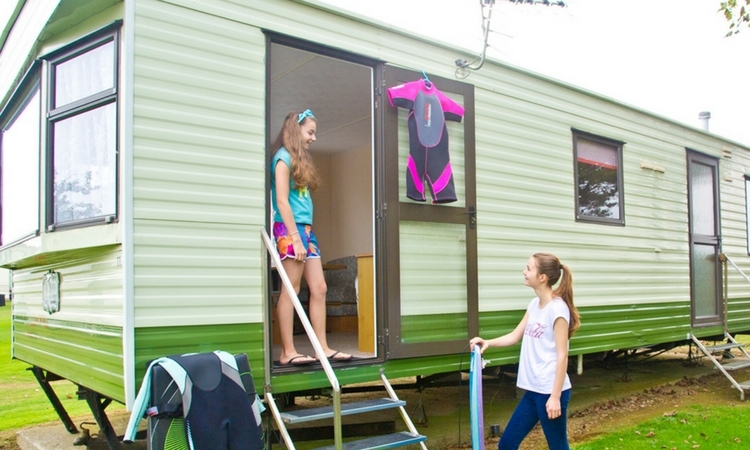 Our reasonably priced traditional caravans are fantastic for family holidays and exploring Cornwall on a budget. 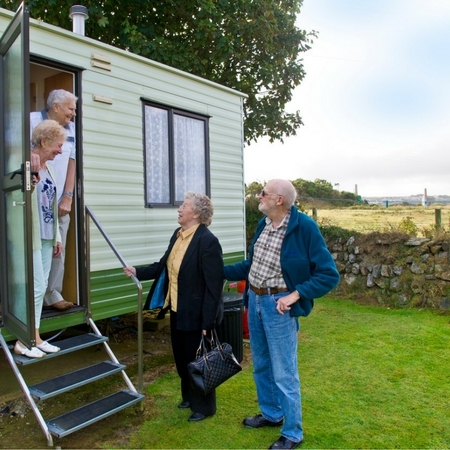 Our 3 bedroom static caravans will comfortably sleep up to 6-people, and our 2 bedroom caravans will sleep up to 4. Your pets are welcome too. 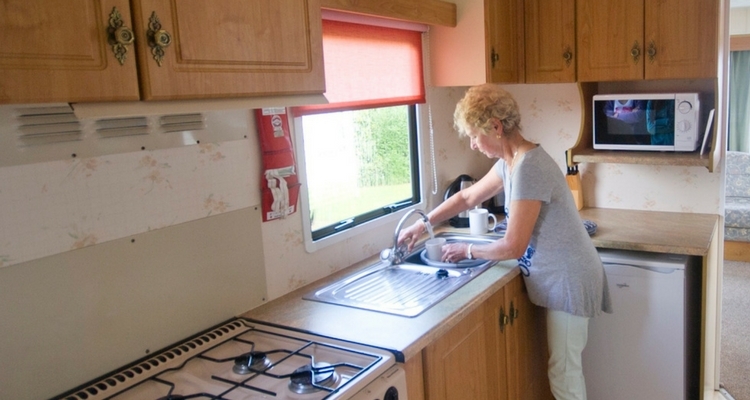 You’ll enjoy a comfortable stay in our immaculately clean and tidy caravans. 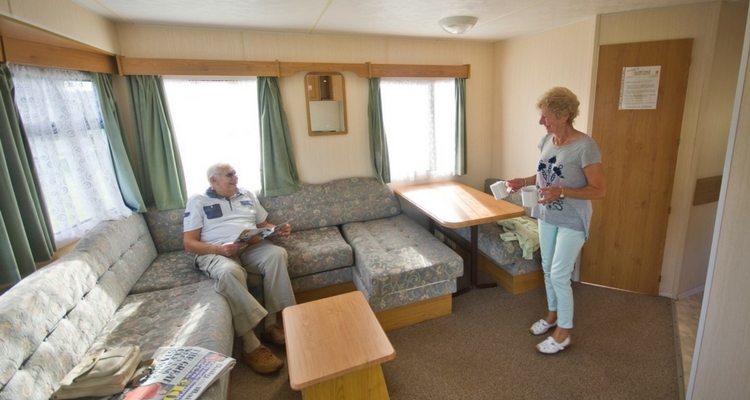 They are all well equipped, so, you’ll be able to enjoy a meal in, as well as eating out. Keep in touch with family and friends on Facebook and email with our Wifi. Bed linen provided and beds made up for you arrival. 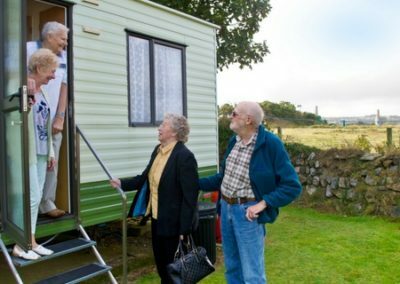 Up to 2 dogs are allowed in selected caravans for an additional charge. We enjoyed a very good week here in May half term. 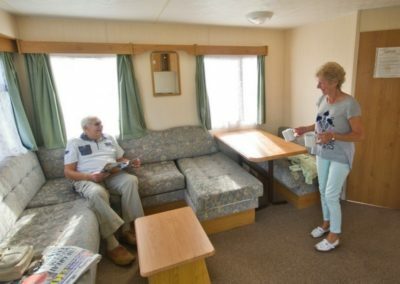 We occupied 5 static caravans and 2 touring caravan pitches as a family, and everyone loved the site. Clean, tidy, quiet, with a bar and restaurant that suited our tastes. The staff and owners deserve a mention for their helpfulness when required and unfailing cheerfulness. We will definitely be back again. 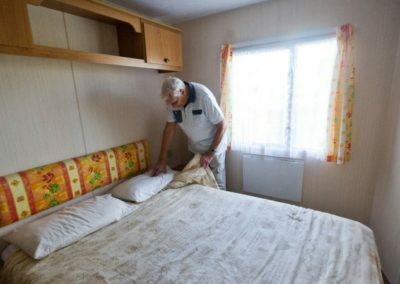 Our caravan was ideal, lovely and clean. We could not fault the park, not a piece of litter anywhere, this has to be the best kept holiday park we have stayed at in years. A last minute half term get away with the kids & the dog found us at Globe Vale where everything was fabulous, even the weather! 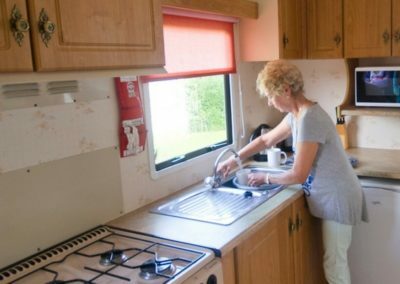 The caravan was an older model as you would expect with it being dog friendly, but it was in immaculate condition and spotlessly clean. The same can be said for the rest of the site, beautifully kept by very friendly and helpful staff.